It is a truth universally acknowledged that most of us would like more living space. A garden room is the ideal way to achieve this (and add value to your home). They are usually a less expensive option than an extension or loft conversion, and can serve many different purposes. 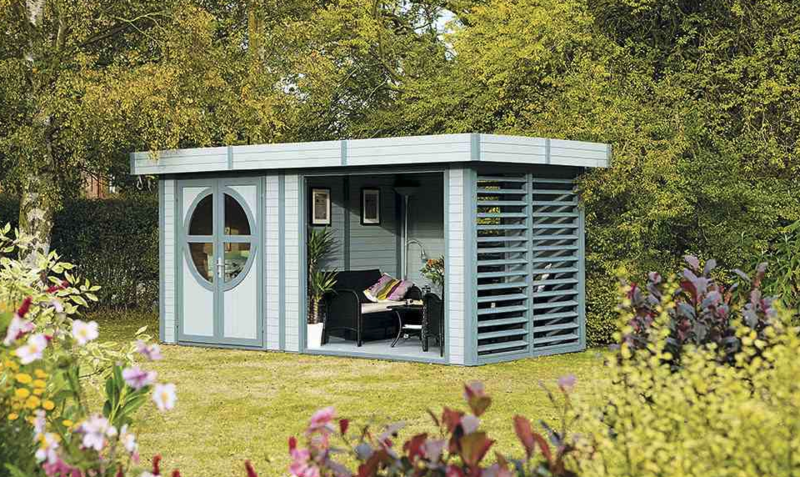 Contemporary garden rooms are so versatile they can be used as a gym, workspace, playroom, or even a teenage den. Perhaps your dream veers more towards a hot tub than a home office? 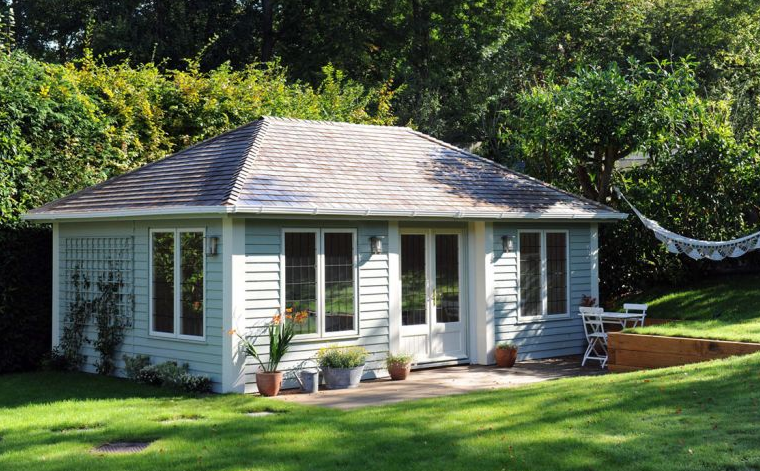 Larger garden rooms can incorporate dual or even triple spaces, to combine work, rest and play. The only real limits are your imagination – and your budget, or course! The size, specification and materials used will obviously influence the price, as will the design and finishes. Basic modular options range from £3,000 to £30,000, but costs for a bespoke building will obviously be much higher. Most garden rooms are classed as permitted development, so there’s no need for planning permission. But there are certain criteria to comply with. For example, they must be single storey, and can’t take up more than half of your garden. Verandas or balconies aren’t permitted. And above all, they must not be used as full-time accommodation. As with so much in life, location is key. Flat and dry is a must, but also take into account where best to site your garden room. It should complement your home as much as possible. And size really does matter. Too big, and it will overwhelm your garden and cast too much of it into permanent shade. Too small, and it won’t be worth the effort or the expense. Whether you’re fan of the classic or the contemporary, there’s a garden room out there for you. Cabins come in all shapes, styles and sizes. If you like the look of traditional log cabins and summerhouse, Crane Garden Buildings offers a number of options. All of its structures are handmade to order – and we love the clever online building planner tool! 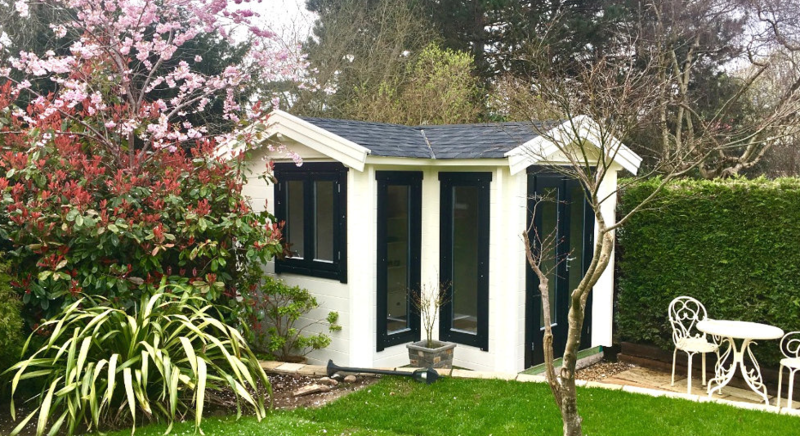 Garden Affairs is another great company to explore, whether you’re after a garden office, log cabin, summerhouse or posh shed. 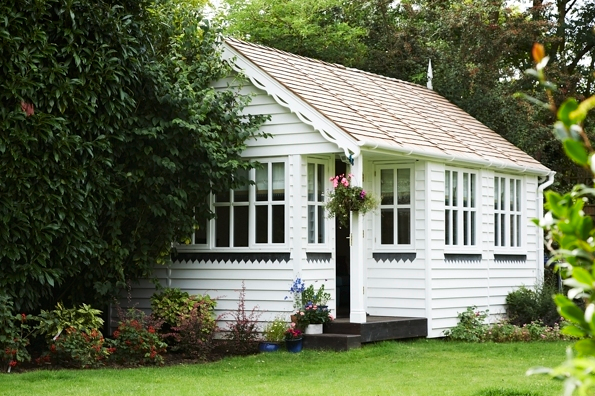 As its name suggests, Timeless Garden Rooms specialises in traditional constructions. 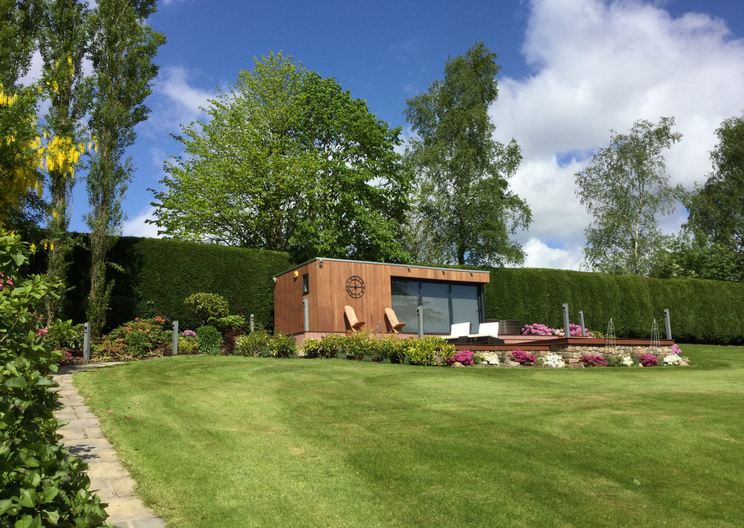 It even offers a bespoke service, so you can tailor your garden room to all your needs. If you’re keen to blend modern and traditional, the Dukesbury design from UK Garden Buildings is worth considering. It’s ideal for use as a garden room, hobby room or home office. We especially like the hipped roof and contemporary windows and doors. If you’re an admirer of all things quirky, there are plenty of retro garden room designs to choose from. 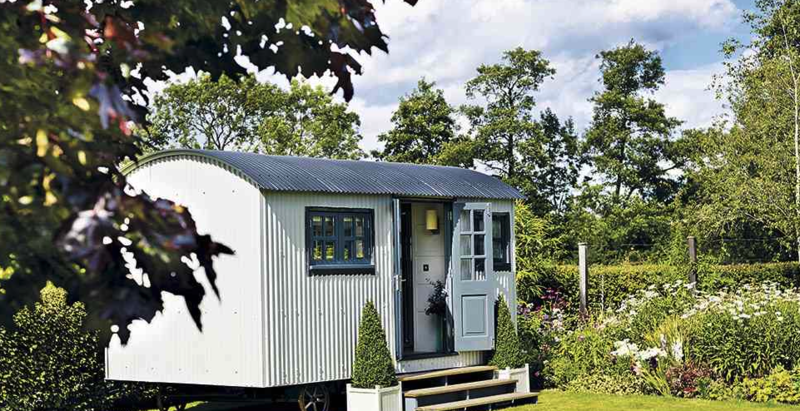 A luxury shepherd’s hut is an excellent way to add character to your home. And you can even take it with you, should you ever decide to move! We love the bright teal cladding of The Snug model, from UK company Plankbridge. Garden Hideouts also offers a charming collection of artisan shepherd’s huts, for a cosy yet practical garden room. 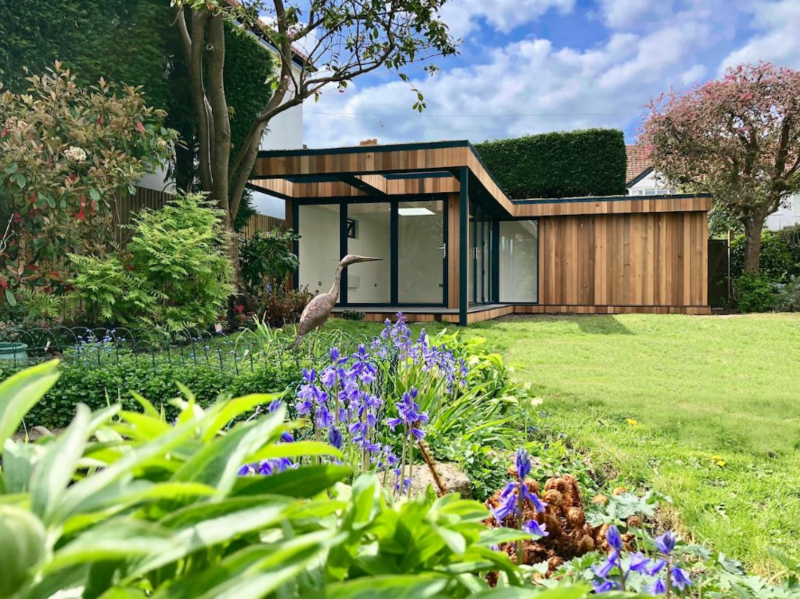 Modern garden room extensions have enjoyed a surge in popularity in recent years. Fast build times and low-energy, high-impact designs are just a few of the attractions. They are also an excellent option for homeowners keen to extend an existing space, such as a kitchen or dining area. Garden rooms that incorporate an outdoor area are ideal for al fresco dining. If you’re watching the pennies, Rowlinson Connor’s Painted Leisure Chalet is a great budget buy. If you have cash to splash, Swift Garden Rooms specialise in stylish “detached extensions”. They are hugely experienced in thinking outside the box – and their repertoire includes everything from sound studios to cinema room. Family-run business Vivid Green also offers a vast selection of contemporary, bespoke garden room extension designs. Installation can take as little as two to three weeks. And there are plenty of optional extras to indulge in, such as climate control and programmable underfloor heating. Which means you can enjoy your garden, from the inside out, all year round and whatever the weather!